Wow! We have already had some pretty serious spring storms roll through the metroplex, unfortunately causing roof and property damage to many of our residents. 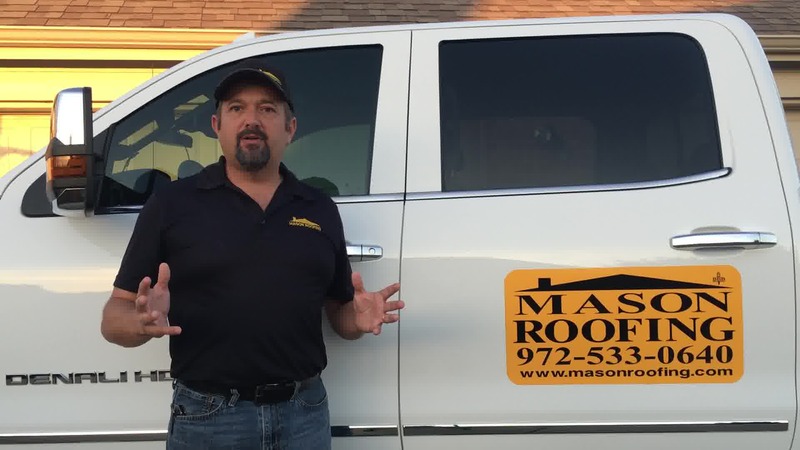 If you need roof repair in Lake Dallas Tx after these hail storms, tornados, and straight line winds, give Mason Roofing a call. We are a local Lake Dallas Roofing contractor with an A+ BBB rating and thousands of satisfied customers. In fact, a large percentage of our work comes through referrals ad repeat customers. We believe that says a lot about our commitment to honesty, integrity, and highest quality and dependable work. We are not a fly by night roofer chasing down storm all across the nation. We are local and have loyal and highly trained and vetted crews that know our methods and do excellent work. We are dependable and able to get to your home quickly without putting you on a long wait list. That's the beauty of over 25 years of happy customers and roofing crews. We stand behind our word. Will Insurance Cover Storm Roofing Damage in Lake Dallas Texas? We have great relationships with local insurance companies, and are very experienced and comfortable in dealing with them for you. We like to consider ourselves experts and hope to take that headache off of your hands. We will come out and give you a free inspection and estimate, and will even meet with your insurance claims representative at your home to go over damages to your roof and property to make sure you get the best deal possible. Most of the time at little to no money out of your pocket! Call today for your free inspection and free estimate. If we find other hail storm damage to your property, we can handle all of your general contracting needs as well. One call does it all! Let us take great care of all of your property damage in a timely and excellent manner. Please allow us to take the risk of walking around on your roof. We will come out for free with no obligation to you. we will check to be sure you have no hard to find leaks that could cause interior damage over time, costing you more time, money, and frustration. We can make sure to catch all of the damage up front, repair your roof in Lake Dallas, and take care of any other signs of hail and storm damage to your property. Give us a call. We are here to serve you.